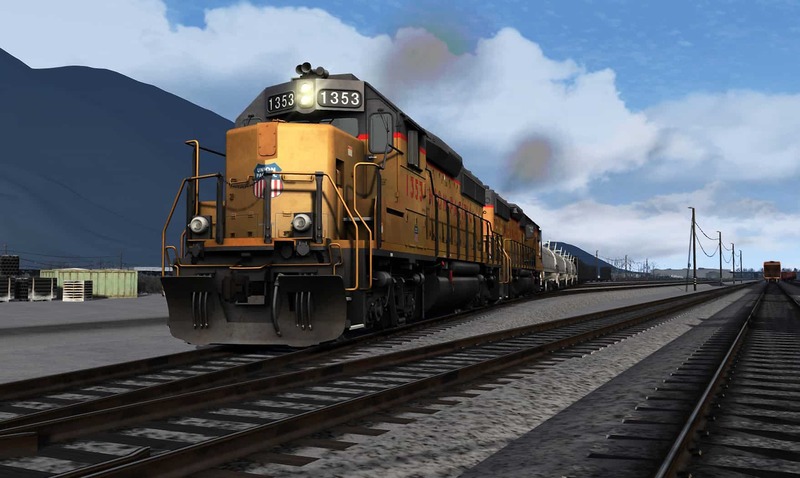 Train Simulator’s GP40-2 Add-On Pack features the versatile Electro-Motive road-switcher in five railroad liveries – and now two new and realistic scenario “mini-packs” from High Iron Simulations put the landmark GP40-2 to work across the breadth of America! 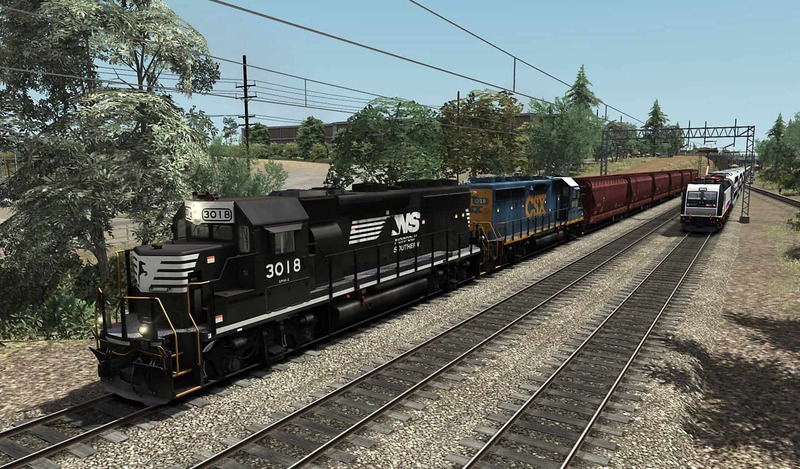 GP40-2 Scenario Mini-Pack 02 puts you at the throttle of Norfolk Southern and CSX GP40-2s to handle freight and switching assignments across the bustling Northeastern U.S. in five authentic scenarios! 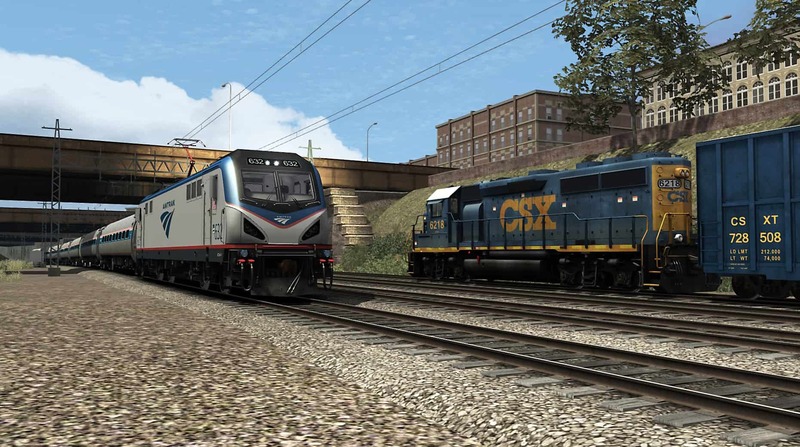 In GP40-2 Scenario Mini-Pack 02 you’ll go to work aboard the 3,000-horsepower GP40-2 amid the bustling railroading environs of the Northeast U. S. on two Train Simulator routes: The NEC: New York – New Haven route; and the North Jersey Coast & Morristown Lines route. 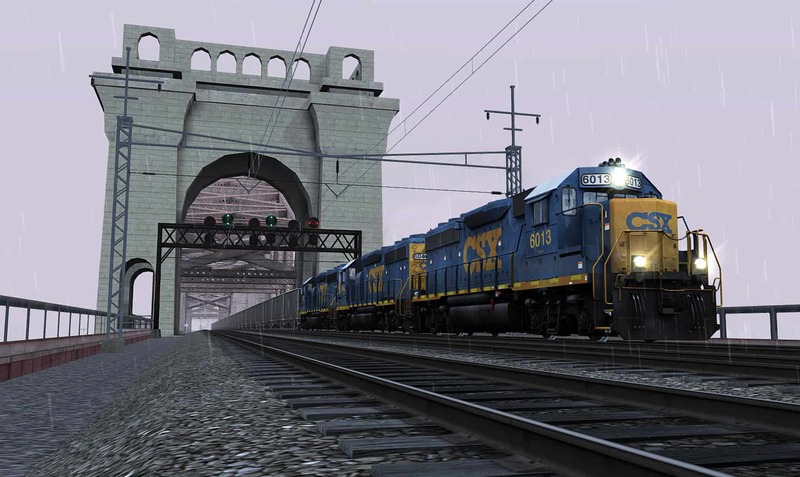 Freight operations on NJ Transit’s North Jersey Coast Line are conducted as a Conrail Shared Assets Operation (CSAO) jointly by Norfolk Southern and CSX, and in the scenario “Browns Yard Bound,” you’ll be the engineer of CSAO symbol OI-16 making its way in New Jersey from Oak Island to Browns Yard. As is typical for this train, diesels from both NS and CSX are in your lash-up. 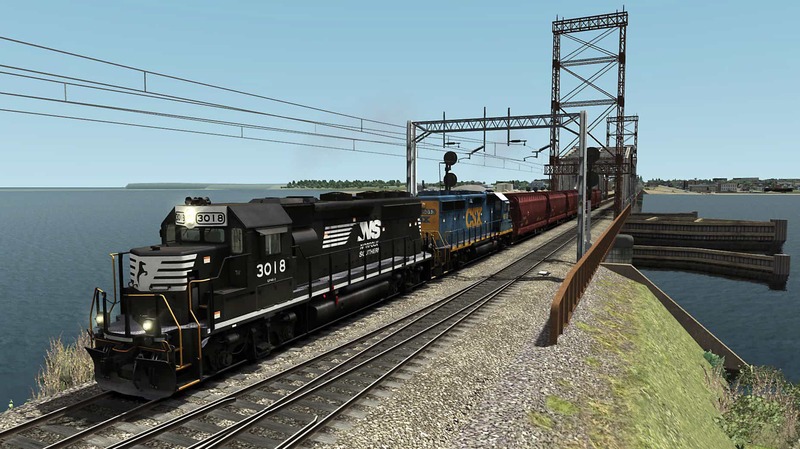 More local duties, on the southern end of NJT’s noted North Jersey Coast Line, also await you in the career scenario “SA-31 Northbound” as you work with a pair of Norfolk Southern GP40-2s. 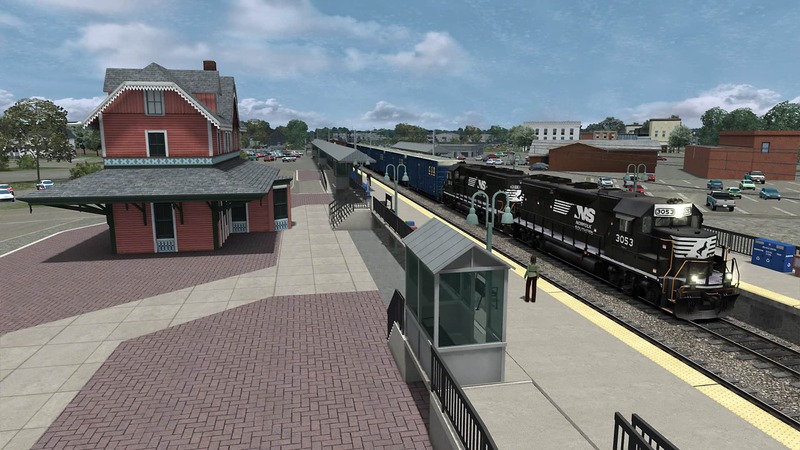 And the career scenario “NS Local H-02” takes you to the NJT Morristown Line as you originate at Dover Yard with a single GP40-2 and head east handling local work. 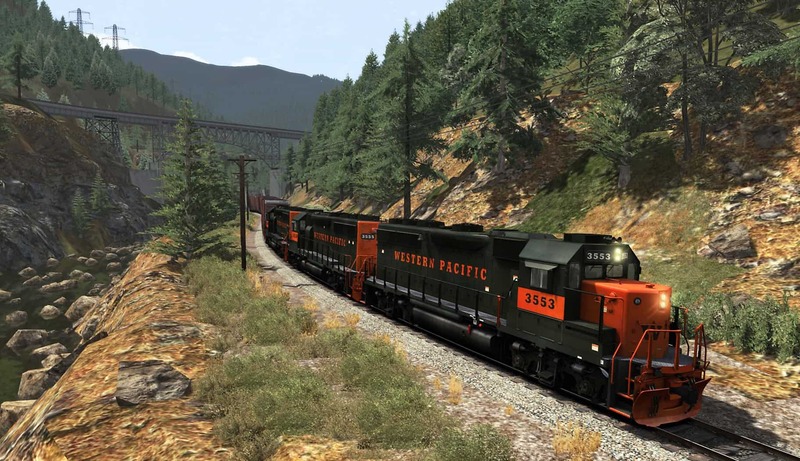 Now available, GP40-2 Scenario Mini-Pack 01 and GP40-2 Scenario Mini-Pack 02 put you at the throttle of the versatile and successful EMD GP40-2 for railroading across the breadth of America – from the fabulous Feather River Canyon of California (above) to New York City’s famed Hell Gate Bridge (below)! Screenshots by Gary Dolzall. 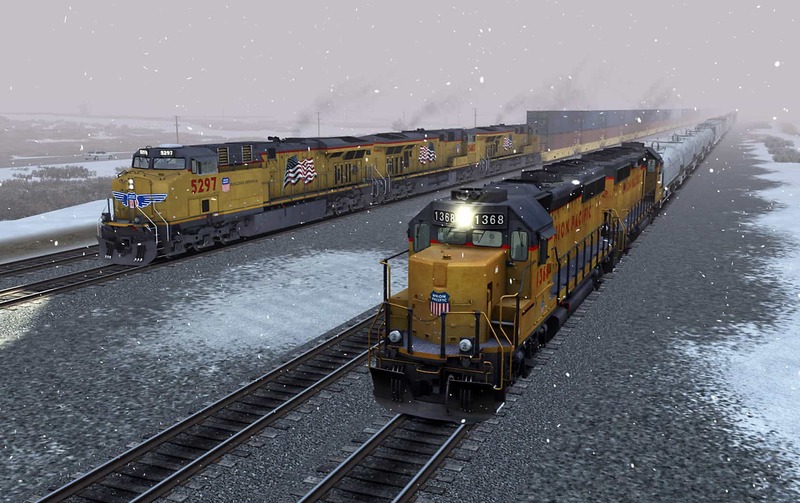 Train Simulator’s Soldier Summit + Salt Lake City Route Extension is host to GP40-2 action in both the D&RGW and Union Pacific eras. 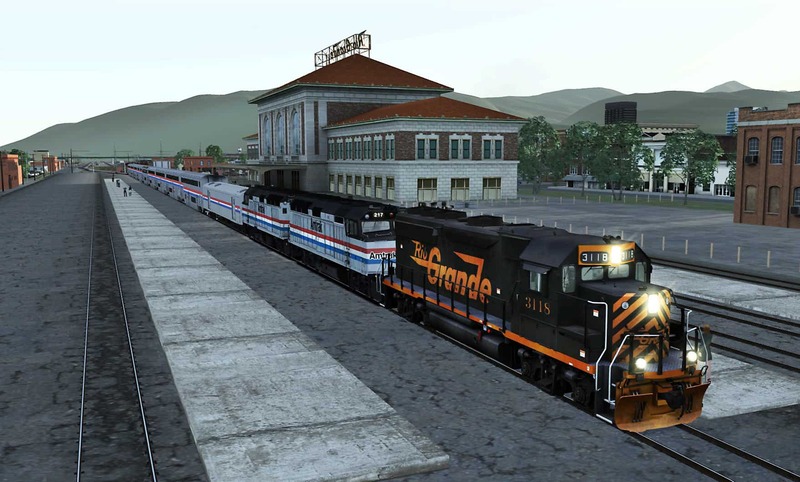 In “Extra Power for Train 6,” you’ll take the throttle of a Rio Grande GP40-2 as it provides additional power and leads the Amtrak California Zephyr east from Salt Lake City (above), and in the career scenario “UP Geneva Turn,” you’ll call upon a duo of Union Pacific GP40-2s to make a run from the UP and ex-D&RGW yards in Provo (below) to the sprawling Geneva Steel plant. More local duties, on the southern end of NJT’s noted North Jersey Coast Line, also await you in the career scenario “SA-31 Northbound.” as you work with a duo of Norfolk Southern GP40-2s (above). 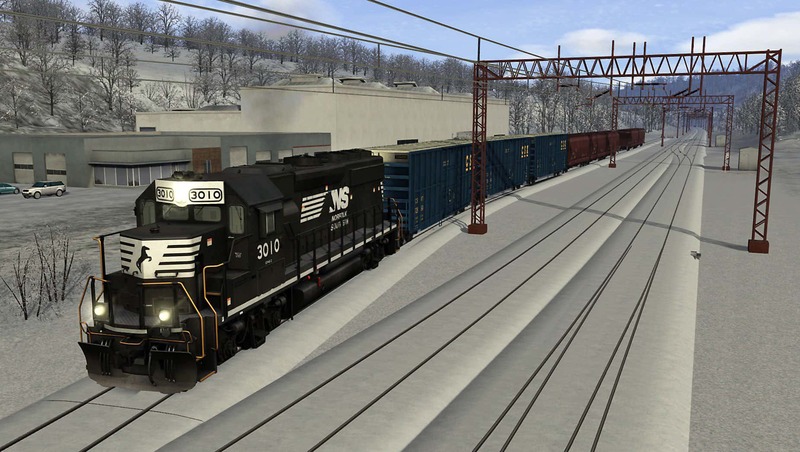 And the career scenario “NS Local H-02” takes you to the NJT Morristown Line as you originate on a winter morning at Dover Yard and head east handling local work (below). 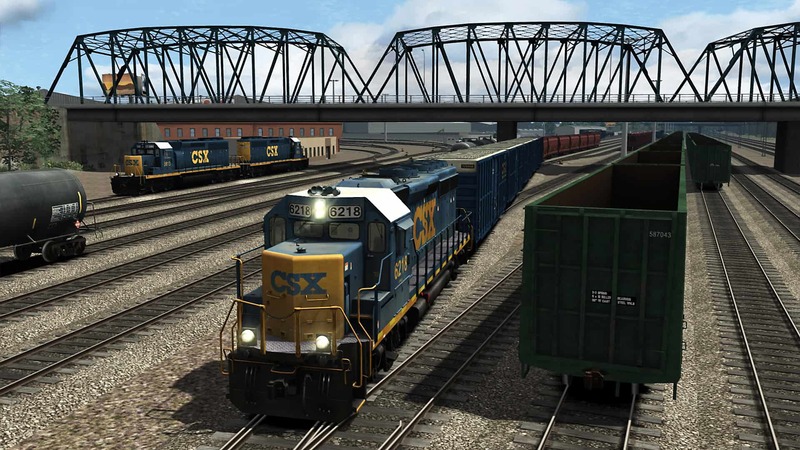 GP40-2 Scenario Mini-Pack 02 includes two challenging career scenarios featuring veteran CSX GP40-2s. 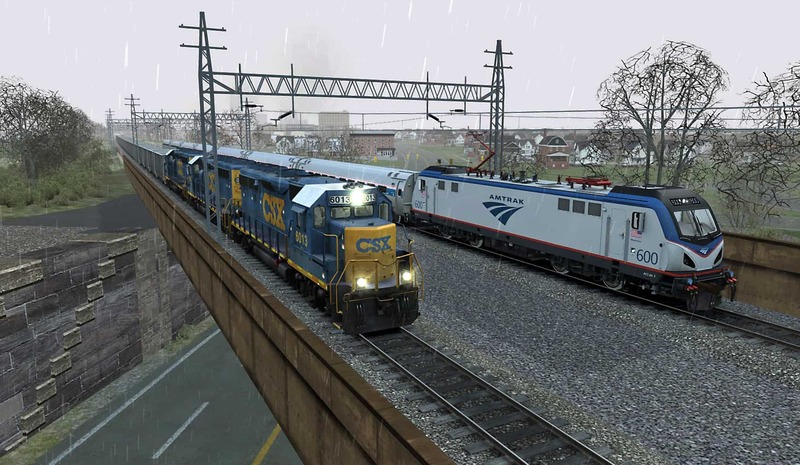 In the scenario “Ballast Haul to Fresh Pond,” you’ll handle a trio of CSX GP40-2s hauling a heavy ballast train destined for Fresh Pond Yard in Queens along the busy Northeast Corridor (above). And in “Oak Point Afternoon,” you are the engineer of the afternoon Oak Point Yard switch job (below), making a turn in the Bronx to Hunts Point to deliver cars, then return with outbound cars. 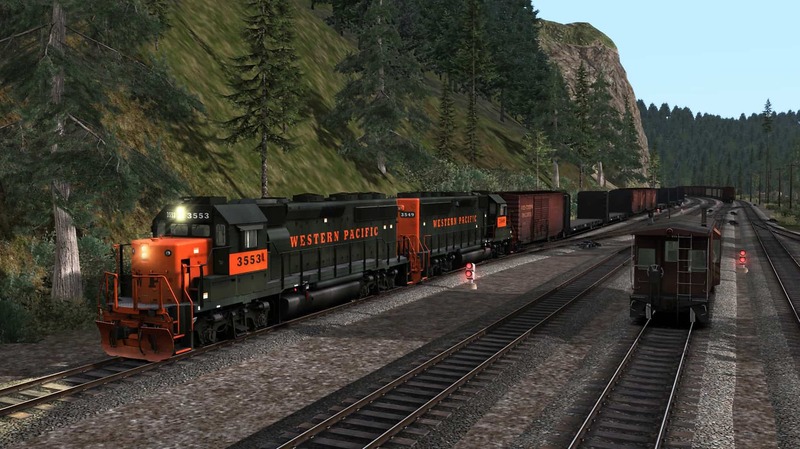 Together, GP40-2 Scenario Mini-Pack 01 and GP40-2 Scenario Mini-Pack 02 deliver diverse, authentic, and challenging GP40-2 mainline freight, local, switching, and passenger operations – and take you from the bustling Bronx in New York City (above), to New Jersey, Wyoming, and Utah, and on to the rugged and scenic Sierra Nevada Mountains of California. These new scenario mini-packs are available separately or you can purchase both in a special, cost-saving “Twin Pack” bundle, all at the Dovetail Games and Steam Stores!